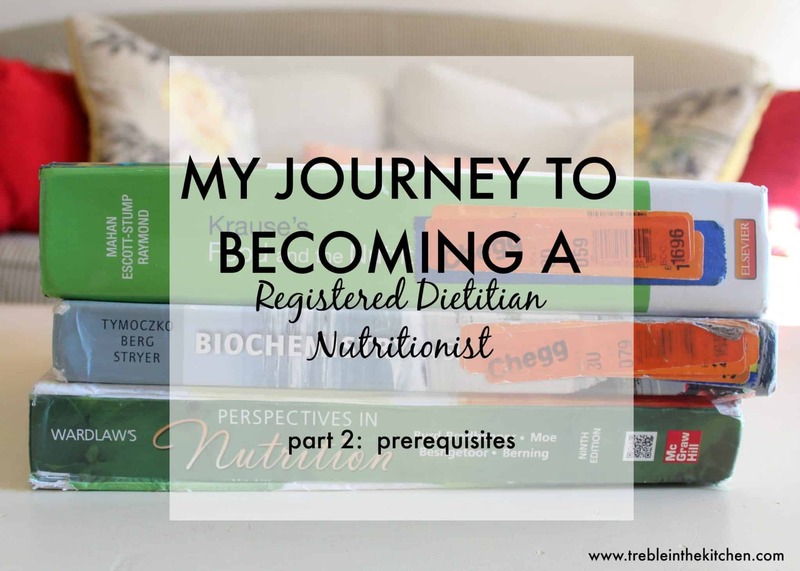 Today, we are going to talk about the prerequisites required for a dietetics program in my second post about my journey to becoming a registered dietitian nutritionist. If you missed the first post about choosing the program for you, click here to check it out! If you are going back to school to become a registered dietitian nutritionist, you most likely have quite a few prerequisites to take. In my first undergraduate degree, I studied music and arts administration so I was literally starting from scratch with the courses I had to take. From what I understand, many prerequisites for dietetics programs are very similar. That being said, you will want to make a list of the specific prereqs you will need for the program you are working towards. I completed all of these courses through online programs that were accepted through my school so that I had flexible hours allowing me to work part time and so that when we moved for Brian’s residency I didn’t have to worry about being done with my coursework. I could easily take it with me wherever we moved! While it has been very convenient to take these courses online, I’ll admit that it is very challenging because I feel as though I am teaching myself almost all of the material. Some of the courses have powerpoints and lectures, but it’s not quite the same as sitting in an actual lecture or having a conversation about the topic with your professor. Basically, all of the courses require a lot of reading. a lot of hours, and a lot of organization. It’s not impossible, but if I could choose to take some of these courses again I would probably choose to take them in the classroom setting. When thinking about what order to complete the courses, I would recommend starting with Chemistry 1 and Biology 1. These classes are very general, but many of the more advanced courses (organic chemistry, biochem, microbio, etc) refer to material that you learn in these courses, so it’s good to get them out of the way. OK! That’s a lot of information, but hopefully it’s a starting point for those that are interested in going back to school for nutrition. Feel free to shoot me an e-mail or leave a comment below! I know this post is fairly old, but I wanted to THANK YOU so much for posting about this… I’m currently trying to figure this all out as well but I’m also interested in a distance dietetics program. I was looking at UNC but when I was discussing with someone from admissions, she explained that these pre-requisites were not offered there and had to be taken at a local school… confused and wanting to complete everything online I counted them out and have been looking into K State. So, you completed all of your pre-requisites online? Did you have to complete any classes in person? Hi Nicole! Thanks for reaching out! YES! I completed everything online. Once I was accepted into the program at UNC, they sent a list of courses that were accredited and accepted by the school. Most of the course options were online. Email me if you have more questions! Happy to help! I JUST registered for my first pre-req. I am 31 and going back to school! I have a Health Promotion degree from a University where I graduated in 2009 but am having to re-take some sciences as they are expired. I am so nervous but finding your blog has been a huge help! I am starting with Anatomy and Physiology and taking it at Edukan while I continue to work full time. Any words of wisdom about Edukan? I think I will apply to the University of Kansas. I am excited, scared, nervous, but so happy that I have something i am passionate about! 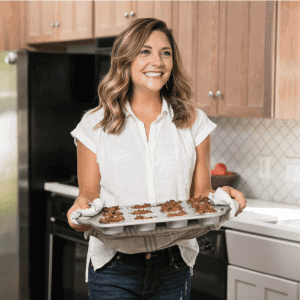 I graduated college and bounced around to things and still hadn’t found my calling until in the last 6 months I realized how obsessed I am with meal planning and finding out about what I am putting in my body and what is good and bad…so I was like wait a minute…can I make this into a career? I am pretty excited! Any words of wisdom would be so appreciated! Were you paying out of state tuition for your prerequisites at all those colleges? Or do the online schools like those have a general cost? Hi Nicole! For the online courses, there is typically just a course fee listed. I hope this helps! It can vary from around $800-$1200 per course. I’ve been researching Registered Dietician programs, but was not quite sure where to begin, so this was very helpful. As far as pre-requisite classes, it looks as if I took all but 1 as an undergraduate (Intro. to Nutrition). Do I need to take that class somewhere before applying online to one of the online programs you mentioned above? Also, once I am in a RD program, how long does that take to complete on average? Well done girl!! You are so impressive! I was going to study Dietetics, but I just couldn’t do the sciences! But I’m so impressed with those who do! It’s a lot of hard work!! Well done! I’m glad you’re doing this series! I’d talked with over email about the program that you’re in, but when I checked into it, I found that Arkansas residents (me) can’t enroll! Boo. So where were you able to get those science classes with labs online–at the universities that you listed above? It seems that I can never find many options online that are decent or within budget. I’m so sorry you can’t enroll!! Hopefully there is a program that works for you 🙂 YES! I did labs in my kitchen at home…crazy right!? I’m having flashbacks lol! This is a great idea for a post to help all those who need that encouragement in the field as their sorting through all the pre-reqs! Great job! Yay for bio! 🙂 I think chem is pretty fun too!! well written! I’m definitely pinning! I have some nutrition volunteers helping me at work and they could definitely use this!